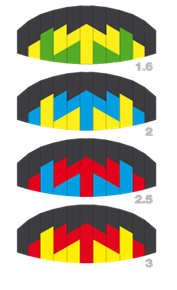 Ozone IgnitionV2 Kiteboarding Trainer Kites also for Snowkiting. 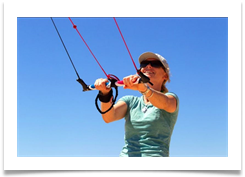 The Best Value 3 Line Trainer Kite! Full Safety! 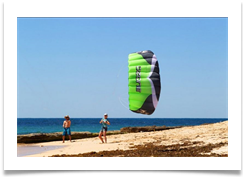 Ozone Ignition Kiteboarding Trainer Kites - Snowkiting The Best Value 3 Line Trainer Kite! Full Safety! 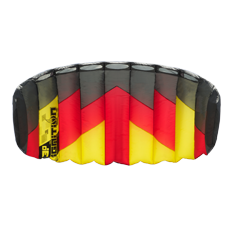 Ozone Kite Storage Bag: Strong and Light. Perfect for carriing and traveling with. Includs a Draw String Closure. Ozone Ignition 3 Line Trainers for a great price. 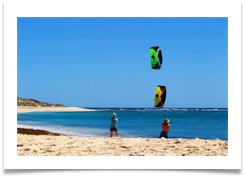 We recommend the 2m or 2.5 m for the best balance of performance and power - go smaller in high wind locations and choose a bigger size in light wind areas.